I have one thing to say about my Draft2Digital review- WOW! Draft2Digital (D2D) has been on my to-do list for a while now, but I didn’t want to share my thoughts until I had used it. Now, however, with a couple of months under my belt, and a few ebooks published, all I can say is that Draft2Digital really looks like it knows what it is doing. Like Smashwords, it is an aggregator, which means that it is a self-publishing service that publishes to retailers such as Apple, Kobo and B&N among others. Perhaps Smashwords has a few more aggregated retailers and libraries but for me, I am only interested in the main three book retailers I mentioned. So what impressed me about Draft2Digital? Firstly, after I registered my account, it only took ten minutes to add all the details including my author profile, account information and most importantly for me, as I am not a US resident, my IRS tax exemption information. All good to go after ten minutes? Yes! Next, payment is made monthly by EFT or Paypal with only a $10.00 minimum. For me, payment by Paypal, once a month is a real winner over Smashwords, who insist on paying three monthly. Then when I started on loading up my first ebook, there were some pleasant surprises. Setting up a pre-order was easy. All I had to do was set my publishing date on the first publishing page. On the same page, loading up a Word document was a breeze, and there was no need to read a long style guide or even create a Table of Contents, a Title page or an About the Author page. All of these can be added automatically by Draft2Digital. My Word file included all of these, but next time I’ll know not to bother. Selecting genres is simple, and adding keywords separated by commas is a nice touch. Setting the retail price has a super option. You can set different prices for individual retailers. It is a great option for Indie authors to be able to test pricing strategies. Better still, was an option to add a New Release Email Notifications Signup page at the end of the ebook, and even a teaser page for books in a series. Then, when I had my ebook ready, a preview in .epub .mobi or .pdf formats was prepared for me to download and check before I hit the publish button. Ok, all done, and my ebook was published without a single hassle. But Draft2Digital had another pleasant surprise in store for me. Not only did I get the standard confirmation of publishing email, but a little later I started getting emails confirming that my ebook was live on Apple. Followed by another for Kobo. Both with links to my ebooks on each retailer, which I could use for promotion. I like this small gesture, a lot! Okay, it’s only been a short while of testing and trying out features, but all I can say is that Draft2Digital ticks all of my priority self-publishing boxes and more. The only small moan is that I would like to have information about what SEO D2D apply to its published ebooks. But this is really a very minor point. Like most self-published authors, I like to have some of my ebooks exclusive with KDP Select, and others open-published. In the past, I have used Smashwords to distribute to retailers other than Amazon. However, I will now have to reconsider, because Draft2Digital really impressed me. While I know the realistic sales potential of Apple, B&N and Kobo, I am still looking forward to seeing how my few ebooks fare after using Draft2Digital. I will add a follow-up post in a few months once I have some hard data. It has now been over a year since I wrote this review. All I can say is that I am still super impressed with Draft2Digital. Now that I have sold some books, I can say that the sales report system is easy to check. Another small improvement is that when authors sell only a few books per month, there is now no minimum payment threshold for Paypal payments. So you get paid every month for every sale. Even if you only sell one copy. If you are considering changing your ebook sales strategy from only Amazon to open publishing, perhaps you should consider Draft2Digital as your aggregator. You can read my updated and extended review of Draft2Digital vs Smashwords here. Update: Draf2Digital now offers free author pages to help in author discoverability. Interesting post. I haven’t yet used an aggregator, I publish direct to Amazon & Kobo (which is very easy). Sounds like D2D might be useful for the Apple market. Thanks. Thanks for posting this blog. It was informative and for me, timely because I got up this morning with the goal of uploading one of my e-books to Smashwords but wanted to check one last time to make sure I could publish it on both Smashword’s and Amazon’s KDP platforms. My Google search brought up your blog on the first page. I’ve put off publishing e-books with Smashwords because, 1) I’ve been waiting for my KDP Select period to time out, 2) Its converter is called Meat Grinder and if that doesn’t put an author off, I don’t know what would; 3) Smashwords will only accept Word Doc uploads for all its distributors, and I prefer to upload my e-books in epub format; 4) Sales at Amazon have not been very good. I have to take some responsibility for poor sales, of course, because once a potential reader finds one of my e-books, the writing had better be very good. But I also know that my e-books are just needles in a very large haystack. So it’s been difficult for me to evaluate the issue of quality versus quantity; that is, How good is my writing? versus How many people have found my e-books? Thanks to your blog, I’m going to give Draft to Digital a try. Thanks! Thanks for your comment, Bill. All I can say is, good luck with Draft2Digital. I have only been using D2D for a few months now, and I have to say that I’m extremely pleased so far. Yes, much easier than getting through the Smashwords’ meta-grinder! I am especially pleased with my sales on Apple iBooks. I experienced the same slowdown as you on Amazon, so I hope you find the same boost in sales on other retailers. Who owns the rights to your book after they publish it? 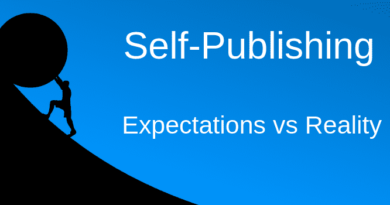 Can you have a “traditional publisher” publish it if it is selling well and one offers to do so? I’m not sure I understand your question, David. But if you self-publish, you retain your book rights. However, if you sign with a publisher, you normally sign over your book rights. I see in the information of Draft2Digital that there are no UP FRONT costs. I was wondering about the ISBN. Is there a charge for that? I do like what I see but it seems almost too good to be true and you know what they say about that. Thanks for any info. There’s no charge for an ISBN, Francine. True! D2D is an amazing service and most of my sales comes thru this channel. Good to know thanks for all the information if I want to distribute more widely. At the moment I’m just testing my debut toes in kdp select. Draft2Digital was not a good experience for me. When I searched the internet for information about them, most of what I found was posted by them, lot’s and lot’s of marketing. When I uploaded my book, the conversion was very bad, the few photos I put in the book were bouncing all over the place, the end result was not something I would have been able to publish. Then I was bombarded with non-stop marketing emails from them, I was being spammed. When I asked for support to correct the automated formatting results of my book, the first email request for support was ignored, then on a second attempt, I got a reply after 3 or 4 days. The reply was useless, after all this time the support person is asking if I want him to look at my book. After requesting help several times and more than a week, the response was weak at best. I would say that Draft2Digital is not a serious business. When I got fed-up I started searching the internet and the D2D website for information on how to close my account, and I found nothing. When I emailed them to request information on how to close my account, I got an email response several days later informing me that they could not close my account because they did not have my email address. But wait, they sent me an email to tell me they didn’t have my email address. These guys are amateurs. Most of the information about them on the internet is marketing information posted by them. When uploaded the same Word document to Kindle, the conversion was very professional and ready to publish. I’ve been trying to decide between draft2digital and publishdrive. What information were you required to the tax exemption? Are you asked for your SSN or ITIN number? Hi Savy, Zsofia from PublishDrive here, thank you so much for the mention! Please do not hesitate to contact me if you have any questions. We also do not withhold any tax and accept authors from all over the world. For tax exemption, we ask authors to fill in a very short declaration: we only ask for legal name, address and ID number / Social security number / Tax number (one of these country specifically). Does your free ISBN # list you or the author as the owner/publisher? How much dos it matter? A free ISBN will list the author, but the issuer as the publisher. For instance, Createspace, Smashwords or Lulu. Does it matter? It’s up to each author. This all sounds great. I have 3 books which I am trying to get printed / published by ebook and / or hardcover.Draft to Digital sounds the way to go. Is there a telephone number I could talk to someone about getting started ? We are not a publisher, Tizi. All the advice on our site is self-help. You can start by reading our guides in the main menu to get started. Derek, Thanks for the informative encouraging review of D2D. I have two EBooks on Smashwords and sales have not gone well even with extended coupons. I am going to try a recommended author marketing program that operates from the premise, market to one reader at a time. I like the cost factor for both D2D and Smashwords. Any thoughts on how to boost EBook sales? Thanks for your posts and reviews.